What is the Trajan 20? 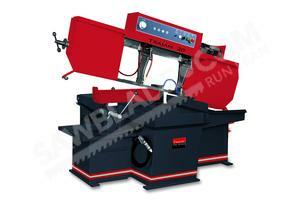 The Trajan 20 band saw is more heavy duty than the Trajan 712, weighing in at 1600 pounds. Since the saw is so heavy, it gives the operator a lot more stability when cutting, offering the operator more efficient cuts. 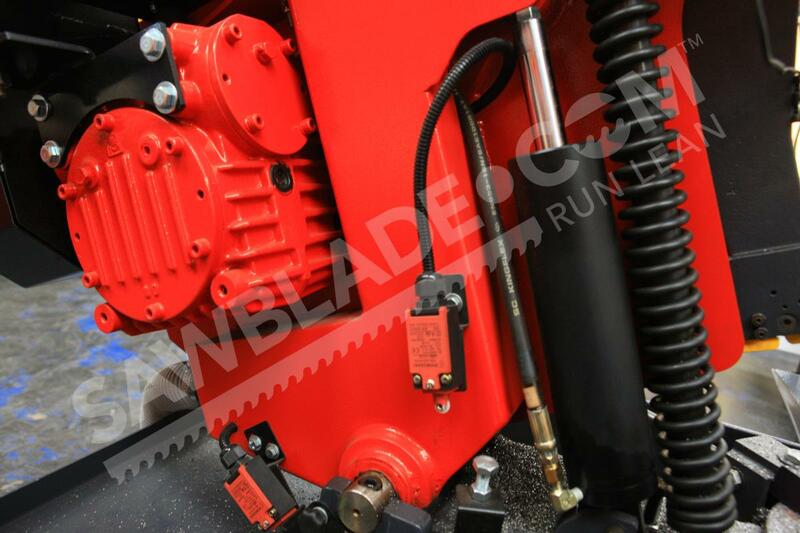 It comes with a self-contained coolant system that lets you cut harder materials and achieve an extended blade life. The coolant system also comes with a hose that lets you easily clean the work area and the saw. 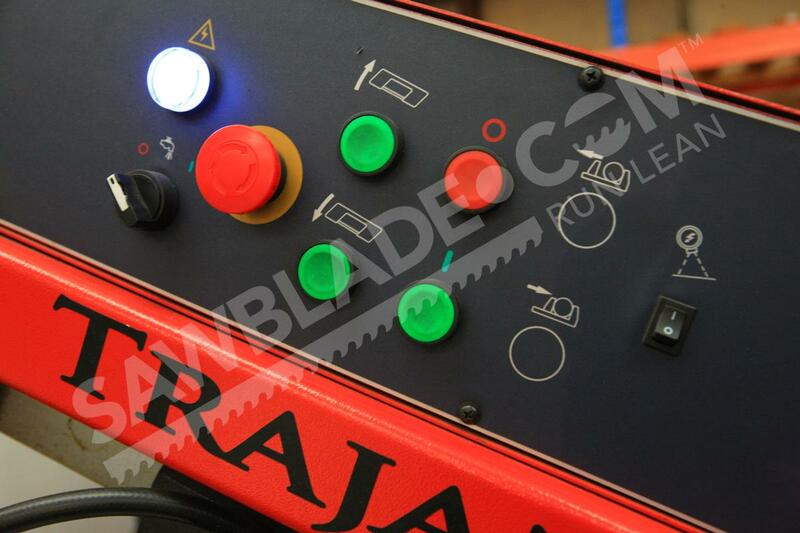 The Trajan 20 band saw differs from the 712 in that it has a one-inch blade. This one-inch blade gives the operator a range of saw blade options that makes the saw a more versatile tool for any workshop. In order to get straighter cuts, the Trajan 20 is also equipped with a laser that allows the operator to measure the cut without ever having to put the blade on the material. One thing to keep in mind about the Trajan 20 is that it doesn’t have an auto index, which would allow the cuts to be automatic. However, this is mainly applicable for structural uses and may not be a drawback for your particular operation. 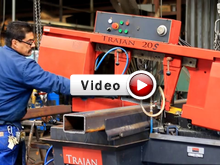 The Trajan 20 band saw is a straightforward, easy-to-use product that comes with a one year parts and labor warranty. Choose the Trajan 20 when you need a heavy-duty band saw that can handle a variety of applications. 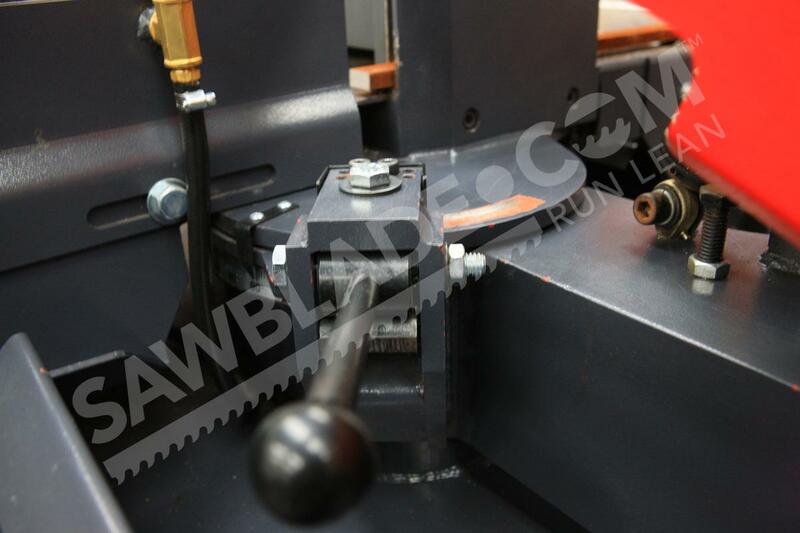 This cutting machine is engineered to cut through some of the hardest metals. Its features and specs combine to form a powerful, high-performing saw with modern conveniences. 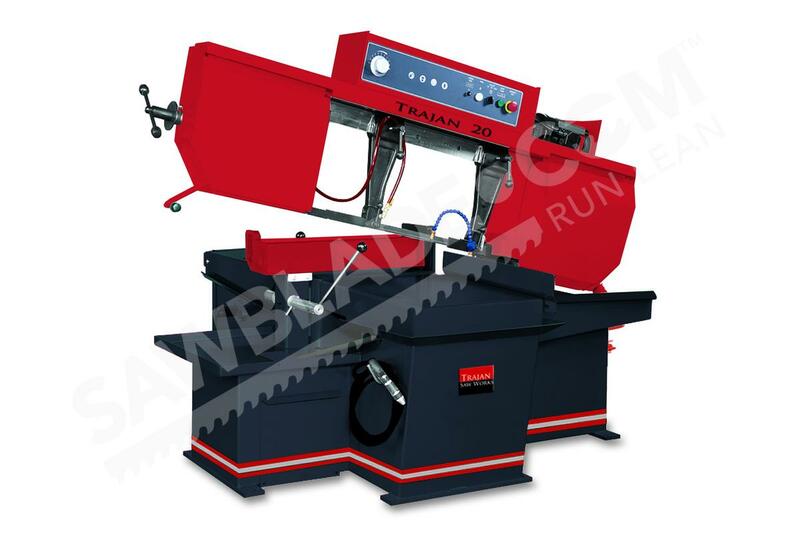 With a large working platform, the Trajan 20 band saw offers enough elbow room so operators can work comfortably. This cutting machine is also engineered for quick clean up: it’s cleaning hose and nozzle make washing down this saw a snap. The Trajan 20’s is a sturdy cutting machine. 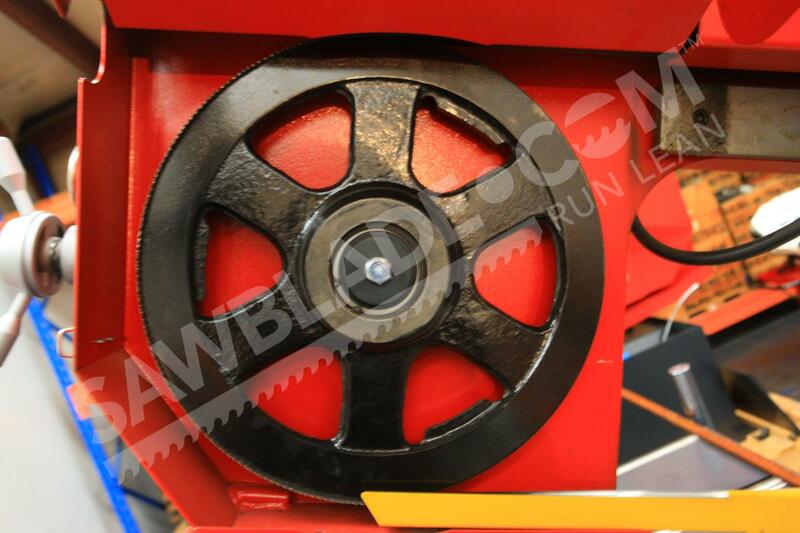 It’s overall structure contributes to the saw’s cutting capabilities. The stand, for example, lends stability to the machine body. 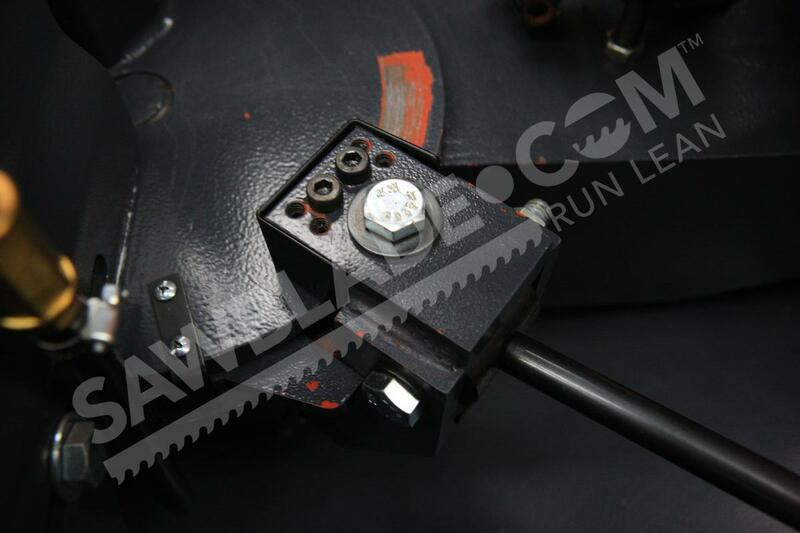 Tungsten blade guides keep saw blades steady as they cut, which also improves blade life. In designing the Trajan 20 for maximum stability, we also enlarged the hydraulic cylinder and buffer spring. This is one sturdy saw. Complete with a high gear drive and variable step-pulley, the Trajan 20 has a fast changing speed. This saw also has a hydraulic saw arm lifting system that can raise and lower the saw head according to the operator’s speed preference.